This summer, I taught an introductory political psychology class at The Washington Center. Thirteen Millennial-aged college students from around the country, mostly rising juniors and seniors, braved DC’s sweltering heat to learn the basics of the dual-process model of ideology, generational theory, political messaging and a number of other related topics with clear strategic implications. While I hope they learned a great deal from me, I can confidently say that I learned a few things about Millennials from my time with them. One should always be careful about generalizing from a small and inherently biased selection to a wider population. But I’ve studied the Millennial Generation enough to know when I’m looking a representative sample, however imperfect. I believe my students were exactly the sorts of young voters that campaigns on both sides of the aisle – and public affairs groups across the ideological spectrum – would like to reach and better understand. These second-wave Millennials born in the 1990s were nearly identical in most ways to their slightly older peers born in the 1980s, but with one big difference: their formative political experiences. It quickly became clear that, for these students, the seminal political events of their adolescence weren’t the terrorist attacks of September 11th, the wars in Afghanistan and Iraq, or even Hurricane Katrina – as with many of their older peers. Rather, their political awakenings coincided with the 2008 Wall Street meltdown and the election of the nation’s first black president. Classical generational theory posits that cohorts with such different coming of age experiences should adopt dramatically different political values. But that evidently isn’t what happened. My students, in the aggregate, looked a lot like their slightly older peers — at least in terms of their values and beliefs. While studies have found a handful of demographic and behavioral differences between the two cohorts of Millennials, politically they’re very similar. Almost all of the political variance between the older and younger cohorts is explained by younger white Millennials, who are less monolithically Democratic and liberal than their older peers. To be clear, this is a difference in degree, not in kind. It pales in comparison to the differences between Millennials and Gen Xers, Baby Boomers or Silents, which are far more pronounced. The relative similarity of the older and younger cohorts of Millennials, however, is expected by modern generational theory. The architects of that theory, William Strauss and Neil Howe, argued that a generation’s experiences in childhood do more to shape its eventual political and ideological leanings than its coming of age experiences. Childhood socialization, not adolescence, is what sets the template for each generation’s character. Cohorts that faced relatively similar childhood demands and expectations from their parents, teachers and caregivers should turn out a lot a like, according to this theory. So even though older and younger Millennials may have had very different political formative experiences – the Bush years for the older cohort and the Obama years for the younger one – their politics differ only at the margins because they had such similar childhoods. Even though these more recent coming of age memories may have had little impact on my students’ political views, they nonetheless had a major impact on the learning experience inside my classroom. Very often, key concepts in political psychology had to be illustrated with short history lessons on recent American politics. When giving examples, it wasn’t enough to make a passing reference to swift boating, Ralph Nader or the Contract with America – landmarks of my own formative years in politics. My students may have been reasonably bright and well educated, but they had no clue what these things were. Indeed, my students had no memory of a time when Washington worked or when the American economy prospered for all. They were stunned to learn that the Republican Party wasn’t always the bastion of right wing radicalism that it is today. To them, the term “liberal Republican” was an oxymoron – such an obvious and self-evident contradiction of terms that it very nearly defied comprehension. For this younger cohort of Millennials, the Republican Party is constitutionally incapable of governing responsibly. In their lived experience, the GOP has always been a dysfunction band of belligerent oligarchs, corrupt charlatans and bigoted know-nothings. Donald Trump isn’t damaging to the Republican brand: he IS the brand, and that brand is beyond toxic. Many on the right still think of the GOP as the party of Lincoln, Eisenhower and Reagan. But there’s a rising generational cohort that has no memory of anything besides the party of Palin, Cruz and Trump. If there’s a silver lining for Republicans in this darkest of clouds, it’s that Democrats still have work to do to convert both cohorts of Millennials into long-term, loyal partisans. But the Democrats’ task looks easy compared to the wholesale ideological makeover and personality transplant that would be required of Republicans to even begin a conversation that most Millennials would want to join. People often ask me how Republicans can appeal to Millennials. I’m increasingly convinced the answer is “by becoming liberal Democrats.” Obviously, that’s not an answer that satisfies Republicans or offers any constructive solutions to the dwindling number of genuinely principled conservatives, but I’m increasingly persuaded that it’s the truth. In a generation where socialism sometimes out-polls capitalism, where fighting against climate change and in favor of full LGBT equality are prerequisites for being taken seriously, and where most right wing politicians disgust even the young conservatives, we’re kidding ourselves by pretending that today’s Republicans can realistically compete for the Millennial vote. Maybe I’m wrong. Maybe there’s some magic formula that can reconcile the agenda of movement conservatism, such as it is, with the values and priorities of the Millennial Generation writ large. But at a time when conservatives are barely able to hold together their own coalition, it’s hard to imagine them finding common ground with new and increasingly hostile constituencies. A house divided against itself cannot stand, much less expand. Since before the term “Millennial” entered the popular lexicon, I’ve long believed that Republicans were at serious risk of losing this generation — and that Democrats had an extraordinary opportunity build a long-term governing majority by harnessing the Millennial Generation’s civic energy. Democrats have yet to tap into the Millennials’ full potential, but it is becoming increasingly clear that the Republican Party never will. The best Republicans can hope for is to cut their losses. What my students taught me this summer is that the Republican Party isn’t merely at risk of losing the Millennial Generation. They’ve already lost it, and very likely for good. I am very excited to announce that I will be teaching an introductory course in political psychology this summer at The Washington Center. I am deeply grateful for this opportunity and excited to introduce my students to the endlessly fascinating world of political psychology. I’ll be teaching a nine-week class of around 16 undergraduates from across the country, mostly rising juniors and seniors. In addition to taking my class, these students also are interning 35 hours a week at various work sites in and around the nation’s capitol. Many of my classes will cover territory familiar to First Person Politics’ fans and followers: the psychological foundations of ideology, generational theory, political personalities, social and situational influence techniques, political messaging, voter decision strategies, and more. Class is going to keep me pretty busy. So for that reason, I probably won’t be doing much in the way of blogging, speaking engagements or writing until August at the earliest. Of course, if you’re interested in learning more about the above topics, please don’t hesitate to reach out. I’m always available to chat and steer you in the right direction when it comes to your political psychology needs. Do you have any messaging advice for money-in-politics groups? Yes. Groups working on this issue often say that all the money in the system makes our political process less democratic. But the word democratic is a homophone. To some people, it sounds like an implicit endorsement of the Democratic Party, which usually is not the intended meaning. Remember, it’s not what you say that counts: it’s what people hear that really matters. The easiest was to avoid this problem is to substitute the word representative anywhere you would use democratic or democracy. The term representative speaks more directly to the underlying value and avoids the partisan double meaning. How would you describe Hillary Clinton’s political psychology? Her ideological orientation is conventionalist (meritocratic worldview, cautious about change, trusts the system). Her primary political personality type is obsessive-compulsive (obligated, hardworking, empirical). And generationally, she’s a pretty typical Baby Boomer (values-oriented, polarizing, self-serving). Knowing these three things — ideological orientation, political personality and generation — provides a wealth of information about her strengths and her vulnerabilities as a leader. Do political strategists need to focus on the post-Millennial generation? It’s never to soon to start thinking about the future, but as a matter of political strategy it’s a bit premature. Using the Strauss and Howe generational breakpoints, the oldest members of the post-Millennial generation — tentatively dubbed the Homelanders or the Plurals — were born in 2005. Plurals won’t cast their first federal ballots until the 2024 presidential election. But this also means that millions of Millennials will be aging into the electorate between now and then. In 2016, about two thirds of all Millennials will be eligible to vote. Both parties need do a much better job appealing to this generation, because their participation rates and political strength are only going to increase in the years and decades to come. Got a political psychology question you’d like answered? Get in touch today. That’s the front page headline at Politico today, but it should come as no surprise to those who follow First Person Politics’ works in print. In January, Politico published an article by First Person Politics founder David L. Rosen that predicted exactly this outcome. Although many Beltway insiders were hoping and praying that Congress would see better days under Paul Ryan’s leadership, it wasn’t hard to see that the new speaker would struggle to govern, given the ongoing dysfunction and turmoil within the House Republican Conference and the Republican Party as a whole. 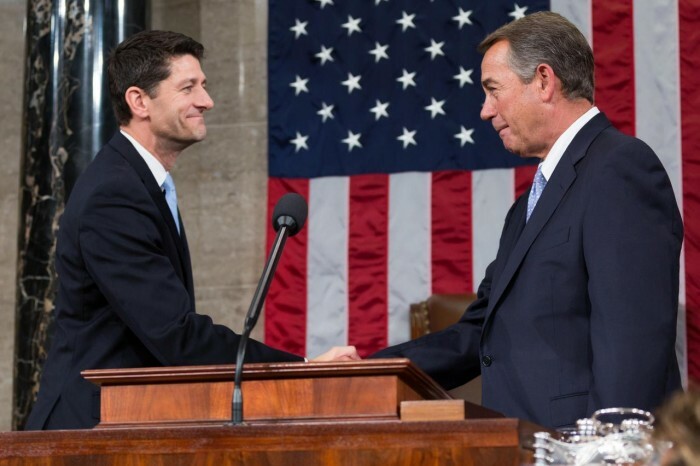 The truth is that the tensions within the House GOP are nothing new. They’ve been building for years, right alongside the escalating ideological and partisan polarization, the leveraged brinkmanship that has come to dominate congressional politics, and the gridlocked, do-nothing congresses that have generally prevailed over the last two decades. All of these phenomena are part of the same package. They are generational phenomena, which is to say they are symptoms of which generation currently holds power in Congress. It’s no accident that the dysfunction in Washington really got going when the Baby Boomers were swept into power in the 1994 midterms, or that the dysfunction escalated to unprecedented heights as this generation’s power peaked in the first half of the current decade. And it won’t change until a new generation comes to power. You can read the rest of the article here, which looks at how previous generations changed the tone of national politics, and what may be in store when leaders from Generation X finally wrest control from their elders. Given Gen X’s current numbers in the House, which fall considerably short of a majority, “House of Woes” is in no danger of being cancelled anytime soon. The question now is whether the show’s new protagonist, Paul Ryan, will fall victim to the same forces that sent his predecessor packing. Keep watching and pass the popcorn. Click here to listen to the radio interview online. The interview references this article by David Rosen, which recently appeared in Campaigns and Elections. If you’d like to interview David Rosen on your show or quote him in your publication, please don’t hesitate to reach out. First Person Politics founder David L. Rosen has a new piece in Campaigns and Elections looking at the seemingly crazy politics of 2016. For many people, this cycle looks a little bonkers. Donald Trump, Ted Cruz and Bernie Sanders are not the sorts of candidates any of us are used to seeing in the top tier of the presidential race, much less as front runners. While the politics of 2016 may not be rational, it is explainable with a little help from political psychology. Speaking of psychological metrics, it appears that authoritarianism is the single best predictor of support for Donald Trump, more than any other demographic trait such as education, income, gender, age, religiosity or ideology as pollsters traditionally measure it. As I have argued for years, right wing authoritarianism is one of the two major psychological pillars of political ideology. While there a number of validated methods for measuring it, the authoritarian spectrum measures a) preference for strict social norms, b) obedience to traditional authorities, and c) support for aggressive or coercive measures to enforce conformity and submission. But political movements filled with authoritarians are not necessarily led by fellow authoritarians. Far more often, these movements are led by strongmen with high levels of social dominance orientation, the second major psychological pillar of ideology. Read the rest at Campaigns and Elections. Those who have followed our work know that right wing authoritarianism (RWA) and social dominance orientation (SDO) are the two psychological domains at the heart of all political ideology. These two domains, together, form what political psychologists call the dual process model of ideology and they give rise to nine instincts that drive political attitudes and behaviors. The dual process model explains a lot of what’s happening in American politics today, including the central conflicts between the parties as well as the major ideological cleavages within both parties, especially the GOP. You can watch our seminar about it here. Public opinion researchers ought to be measuring RWA and SDO any time they conduct a political poll, because these two domains go a long way toward explaining what’s driving public opinion — and how to change it. Read more of our published work here. First Person Politics founder and senior analyst David Rosen will be appearing at two events this spring. Email insights@firstpersonpolitics.com to book a speaking engagement. See here for a list of seminar topics. Here are our first impressions of the personalty types of the leading presidential candidates. Share your own first impressions at #publicpersonas. What are the political personalities of the leading 2016 presidential candidates? Read this piece and then join the conversation on Twitter using #publicpersonas. Political psychologists who profile public figures have identified six personalty types that can be used to classify leaders in politics and public affairs: Narcissistic, Obsessive-Compulsive, Machiavellian, Paranoid, Authoritarian and Totalitarian personalities. Virtually all modern politicians display at least some narcissistic and obsessive-compulsive tendencies. That’s because these two personality types contain indispensable ingredients necessary to produce interest in leadership and the ability to succeed as a leader. Not all politicians have narcissistic and obsessive-compulsive personalities, but all politicians have a few narcissistic and obsessive-compulsive traits. Narcissistic traits confer the ambition for power as well as the people-pleasing skills necessary to obtain it. Obsessive-compulsive traits confer the discipline and persistence necessary to remain committed to a difficult and demanding task (e.g. running for office and governing) over the long haul. No one is the perfect embodiment of any personality type. Instead, most political leaders display a preponderance of traits pointing to a primary personality type and a handful of traits pointing to a secondary type. In healthy and successful leaders, the primary and secondary types will counter-balance each other, correcting for each type’s most problematic tendencies. In unhealthy and dysfunctional leaders, the primary and secondary type will conspire to reinforce the worst tendencies of both. This political personality system comes out of the psychoanalytic tradition, so there are no diagnostic tests capable of offering quantitative, conclusive and incontestable answers. Accurate classification of any public figure’s personality depends upon the integrity, sensitivity and objectivity of the analyst – and ultimately upon the quantity of evidence and quality of interpretive analysis. Below are descriptions of each of the six personality types. The signs of a narcissistic personality are attention-seeking, grandiosity that verges on exhibitionism, and a tendency to scapegoat when things go wrong. Narcissists are extremely convincing liars, and they are the ultimate users – demanding loyalty from others they seldom give in return. While they often project great empathy, especially in the eyes of their followers, they secretly lack it internally. Narcissists don’t always make the best policy decisions, but these highly charismatic and captivating personalities generally make the best leaders. These hard-working, conscientious and ethical personalities are driven by a need for accuracy and a sense of obligation to do the right thing as they understand it. Their biographies and professional capabilities usually outshine their personalities. Indeed, their deliberative decision making and love of complexity makes them extraordinarily good at policy making, but this often detracts from leadership abilities. Obsessive-compulsives may struggle in times of crisis when quick decisions have to be made with limited and often ambiguous information. Many obsessive-compulsives try to avoid rocking the boat with their actions. Machiavellian personalities are master manipulators, or at least they aspire to be. They walk into a room and immediately begin sizing people up to identify their interests and exploit their personality weaknesses for personal, professional and political gain. Machiavellians focus on the game more than the outcome. These cool and calculating types are not generally burdened by the ethical qualms that keep others up at night. Winning is everything, the rest is negotiable, but they always know the score and who owes them a favor. Not to be confused with authoritarian political systems or authoritarian ideologies, the authoritarian personality is quintessentially hierarchical. Authoritarians are sycophantic toward superiors, competitive toward peers, and domineering toward subordinates. They value toughness, believe might makes right and have contempt for mercy. They also tend to be conservative, sexually prudish, rule-oriented and prejudicial – projecting their flaws and insecurities onto low-status groups. Secretive and suspicious, paranoid personalities perceive hidden meanings in ordinary things and reject evidence which would disconfirm their conspiratorial intuitions. They harbor doubts about the loyalty of even close confidants, and hold grudges sometimes for decades. Their paranoid fantasies serve an important psychological function: ego inflation. After all, if the world is out to get you, you must be a very important person. The paranoid personality is actually compensation for deep feelings of inferiority, often mixed with anger and resentment. Totalitarian personalities are rare in representative politics because their psychology is so unsuited to democratic norms and processes. They demand absolute obedience from underlings, believe in their own infallibility, and wield power through a combination of awe, terror, and the gullibility of their supporters. Power accrues to others via direct proximity to the leader. The hallmarks of a totalitarian are a cult of personality, the rejection of facts that contradict goals and fanaticism. The classifications below should be treated as a set of preliminary suggestions. Most of them are first impressions, not firm conclusions. They can and should be debated – hopefully in good faith – by anyone who is sincerely interested in understanding the political psychologies of the candidates running. Think we got it wrong? Share your own first impressions of the candidates’ personalities on Twitter using #publicpersonas. Want more? Watch the First Person Politics webinar on political personalities. Read the original tweets that laid the foundation for our in-depth analysis of Donald Trump. Below is the transcript a Twitter essay typed on August 6, 2015 that inspired this in-depth analytic piece on Donald Trump, published at Salon.com. Several tweets have been lightly edited for spelling and grammar. Follow First Person Politics on Twitter. Our corporate consumer capitalist culture has done a remarkable job seeding desire for total and instant gratification throughout the land. An angry billionaire can channel the impotent rage that results from wanting but not getting better than any political hack. Trump is selling a fantasy of being able to call all the shots. You want wealth, power, fame, status? You can have it all. Trump didn’t invent this fantasy, though he has long traded in it. It’s deeply interwoven into modern American culture. Let’s call it “The American Fantasy.” In its most succinct formulation: You’re one lucky break away from having it all. This “American Fantasy” stands in sharp contrast with the basic understanding at the heart of the American Dream. Defined as: If you work hard and play by the rules, you can join the middle class and your kids will be better off than you. The American Dream is a social contract. The American Fantasy is a shot at winning the lottery, only most people never win. The problem is the American Dream is broken. So the American Fantasy seems a lot more appealing. In our culture of instant gratification, many Americans don’t feel like doing the long, hard work to put it together again. Not while they themselves are struggling, and not when it means they’ll have to share the dream with *those* people. To the people who feel this way, the promise of rebuilding the American Dream looks like a fool’s game: a ruse for suckers. 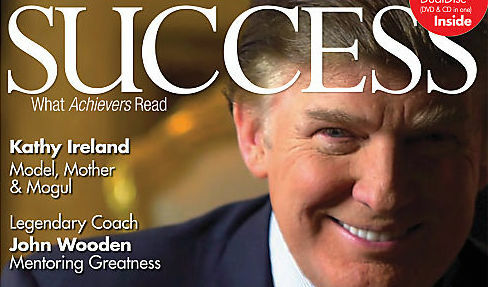 Trump’s pitch is and always has been: I’ve got the secret sauce to make it happen to you. The American Fantasy can be yours. The reason so many people are buying it is that our corporate consumer capitalist culture sells the same thing every day. The American Fantasy is engrained in the modern American consumer. It’s part of our national psyche now. Trump is selling the American Fantasy (one lucky break from having it all) as a political rather than a consumer product. And as is nearly always the case with Trump, HE is your lucky break. The right’s political & media hacks like Cruz, Palin, Beck, O’Reilly & Limbaugh (and so many others) can’t make that pitch. They can sell an agenda and a range of reactionary emotions. But they can’t sell a ticket to “having it all” like Trump can. So in one sense, he’s a classic snake oil salesman. But that’s far too narrow a view. He’s the embodiment of every unfulfilled wish and desire seeded by the corporate consumer capitalist culture. As well as the impotent rage that comes from unfulfilled desire, which must be continuously stoked to sustain the culture. In Jungian terms, Trump is an eruption of the dark shadow of the corporate consumer capitalist culture. …A culture that is now both metaphorically and literally taking over the political system. Trump has this tendency to explain the transactional and power dynamics behind his business and political decisions. He states out loud implicit dynamics that are usually left unstated (e.g. donation to Hillary, leverage over the GOP, etc). In saying how the game is played, he exposes the ugly transactional underbelly of our corporate consumer capitalist culture. And while he’s definitely sticking it to the establishment, he admits his own complicity in the corrupt transactionalism. Pot, meet kettle. It’s more like he’s showing off his mastery over the corrupt transactionalism at the heart of our culture. It’s when Trump explains the game that he most embodies the shadow of the corporate consumer capitalist culture. The corrupt transactionalism that usually remains unstated, implicit or unconscious: Trump brings it out of the shadows. The thing about eruptions from the collective shadow is that they are inherently unpredictable and extremely dangerous. And these eruptions have a way of attracting those low in self-awareness and self-possession like moths to a flame. A mindless consumer culture is fertile ground for demagogues who sell fantasies of wish fulfillment & instant gratification. Follow First Person Politics on Twitter.